Everything Feng Shui | 2018 is the Year of the Dog. this cute statue has the dog sitting on a pile of gold coins enhancing your wealth. 2018 is the Year of the Dog. this cute statue has the dog sitting on a pile of gold coins enhancing your wealth. You are here:Home/2018 is the Year of the Dog. 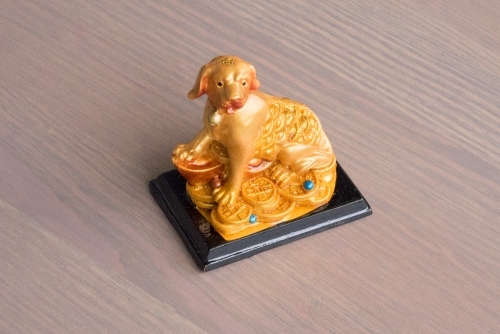 this cute statue has the dog sitting on a pile of gold coins enhancing your wealth.